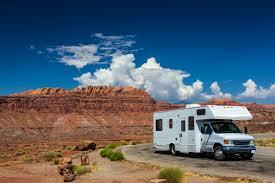 Traveling is fun, especially when you have a luxurious RV to stay in while on the road. One of the biggest challenges for travelers is the weight gain that seems unavoidable when you are traveling. It may seem that the extra pounds are inevitable when you are on the road, but there are steps you can take to maintain your weight while enjoying the RV lifestyle. People love having their own kitchen in the RV, yet they still eat out when on the road. Even if you aren’t eating fast food, you are still consuming more calories when you walk into a restaurant. It’s partially the larger portions, and it’s also partly because most restaurant meals are naturally higher in fat and calories than what you prepare at home. Stock the kitchen before you hit the road. While you will still eat out sometimes, and there may be some restaurants you really want to visit, preparing your own meals will help you watch the calories and pounds. Snacks are the downfall of many a traveler. It’s easier to stay awake if you’re snacking, or you just nibble out of boredom. Limit snacks by getting a good night’s rest while on the road. When the family is playing games, join them if you aren’t driving. If you are the driver, ask one of your family members to sit up front and chat with you to help chase the boredom away. If you are genuinely hungry and want a snack, reach for something healthy like a banana or a handful of trail mix. Water aerobics is great for burning calories, and you don’t need any special equipment to do them. When you stop at a campground for the night, join the kids in the pool. Head to the deep end and tread water to burn off some calories, stretch your muscles and feel great. If the pool isn’t an option, take the family and head out for a long walk. Stop to stretch your legs frequently and take a short walk while at the rest station. It will wake you up, prevent you from getting too stiff and help you burn calories. It is possible to enjoy your RV without gaining extra pounds. Stock the kitchen before you head out, and try to eat in when possible. 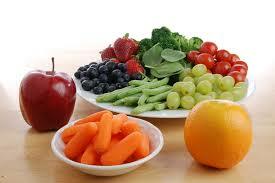 Choose healthy snacks, and don’t snack at all if you aren’t really hungry. Finally, work in some exercise both on the road and at your destination. With a little willpower and some planning, you might actually lose a few pounds while you are enjoying your adventure. Great ideas-particularly about healthy snacks and exercise!